Story….Following a messy divorce, Lynn Graham moves back home to Australia with her three American-born children in tow. 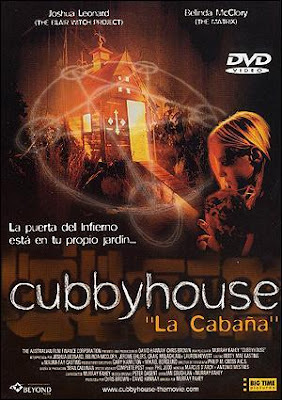 Buying an old house on the same street as her sister seems like a good idea, but its low price reflects a unpleasant history of murder and satanic ritual. Before long, her two youngest kids have fallen under the spell of an evil force emanating from a sinister cubbyhouse in the back garden, and bloody past events look set to repeat themselves.